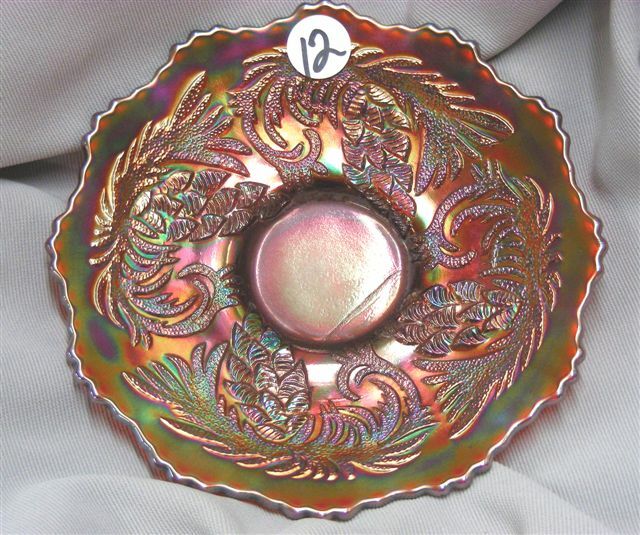 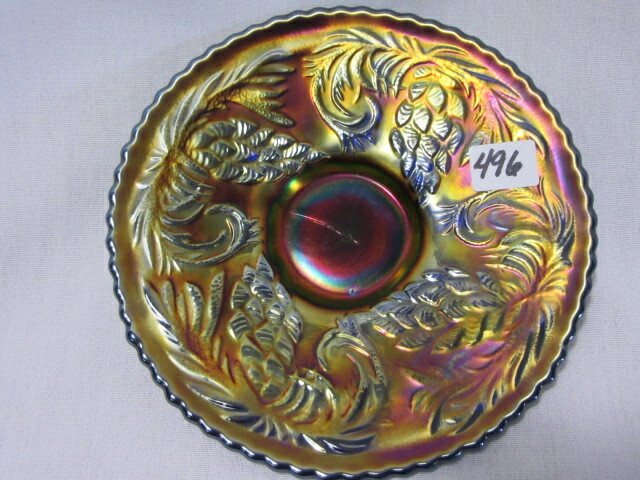 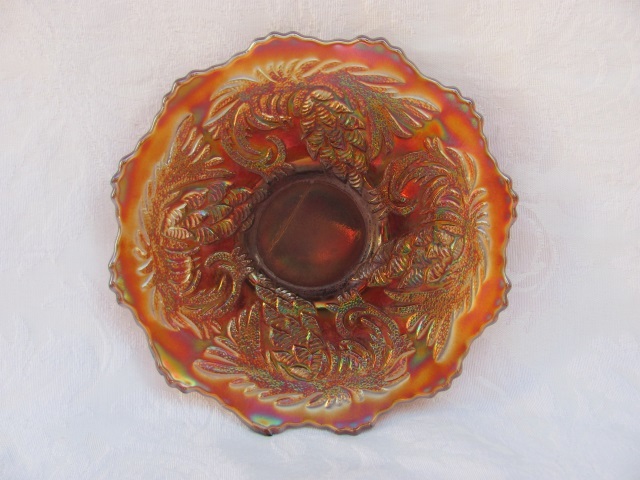 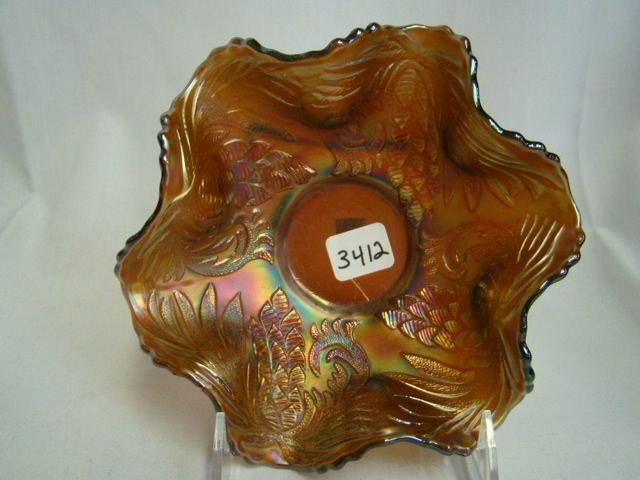 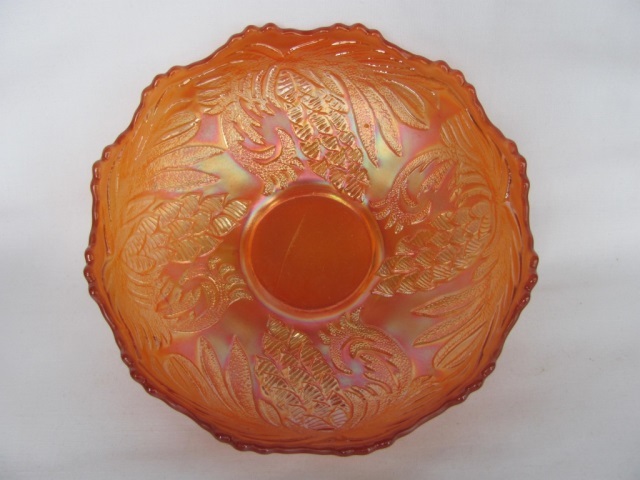 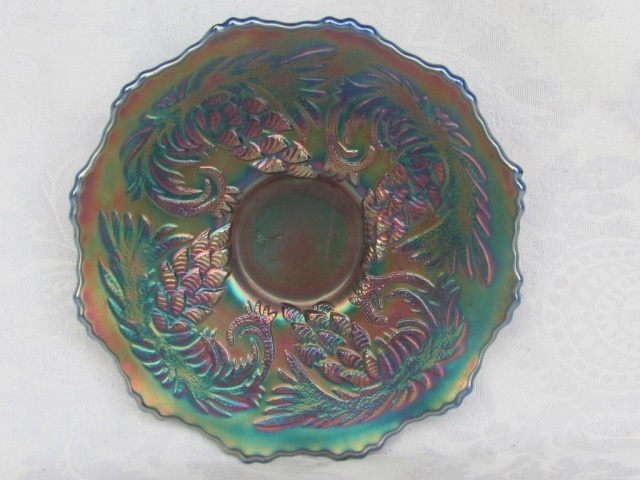 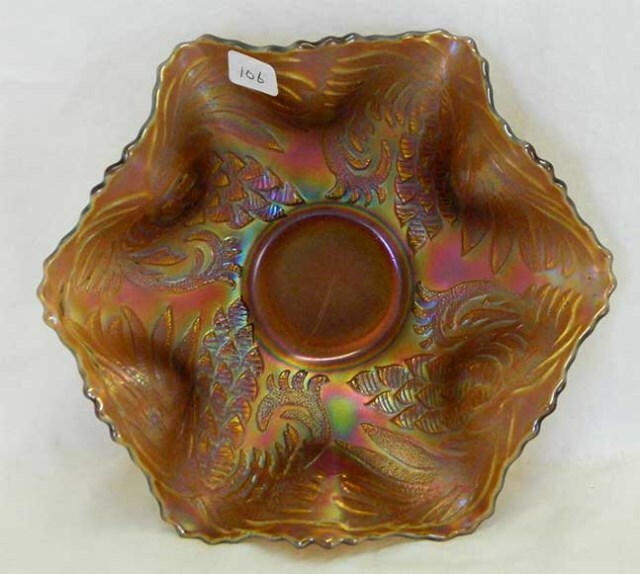 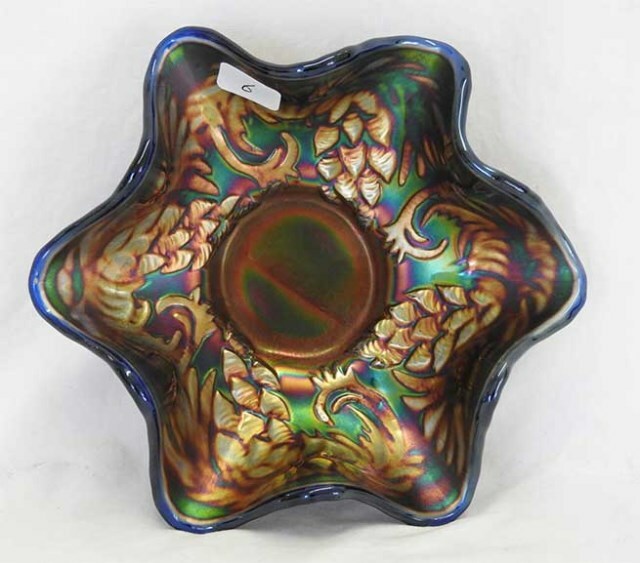 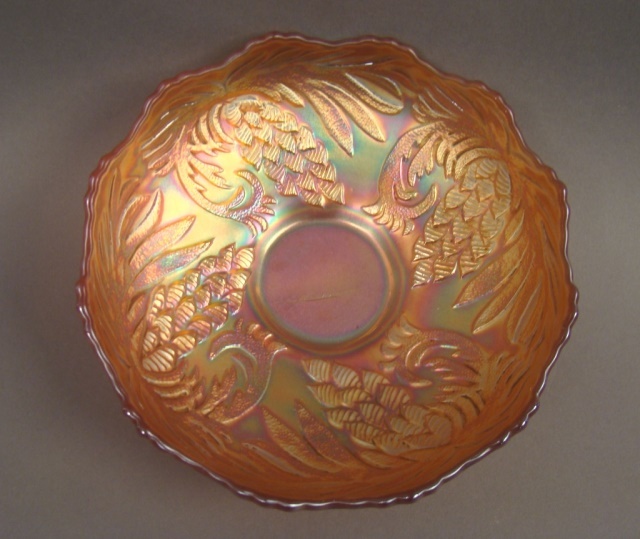 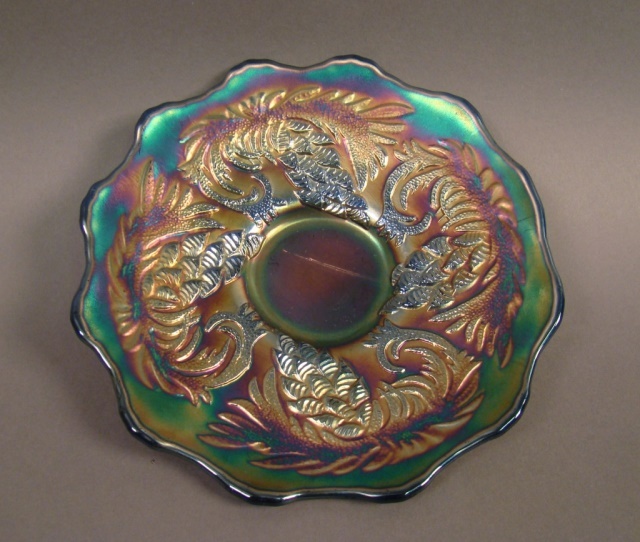 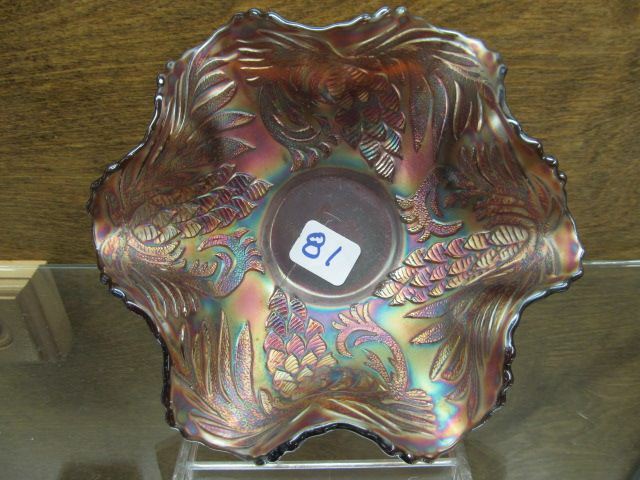 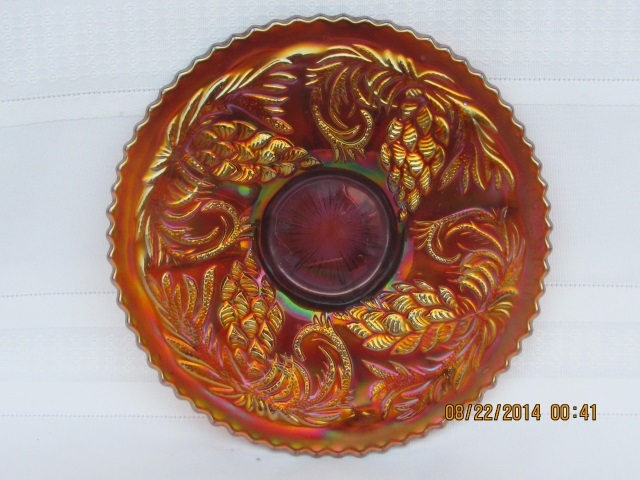 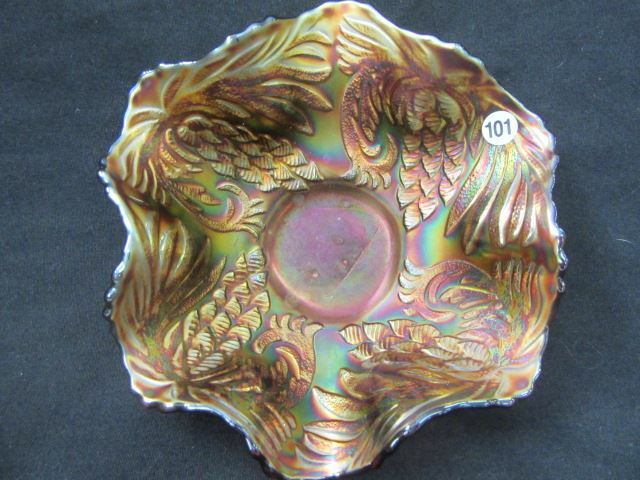 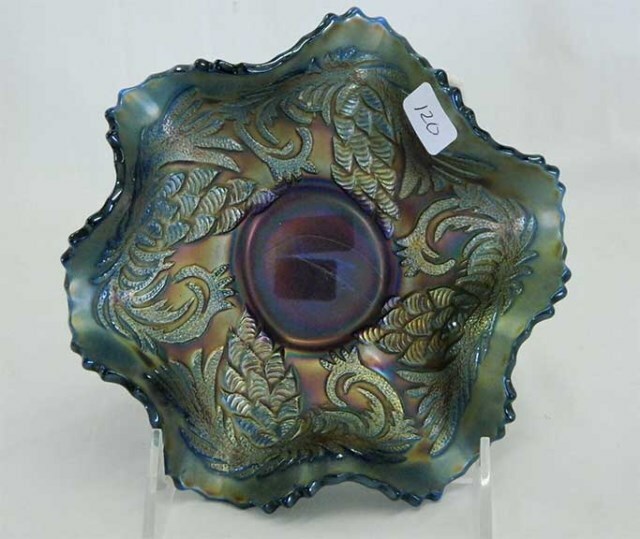 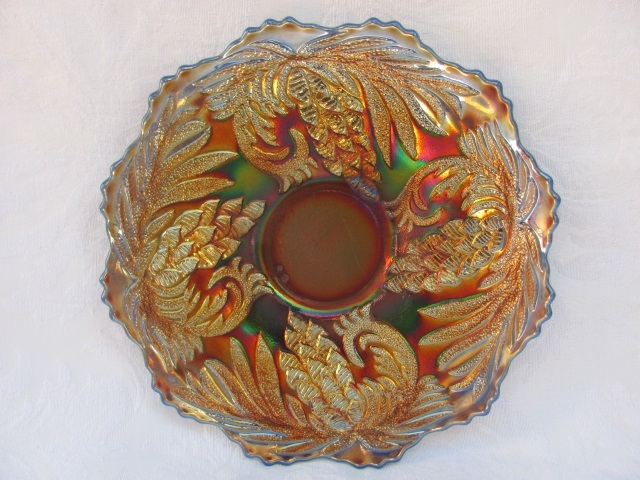 Fenton made this pattern in two sizes in both bowls and plates. 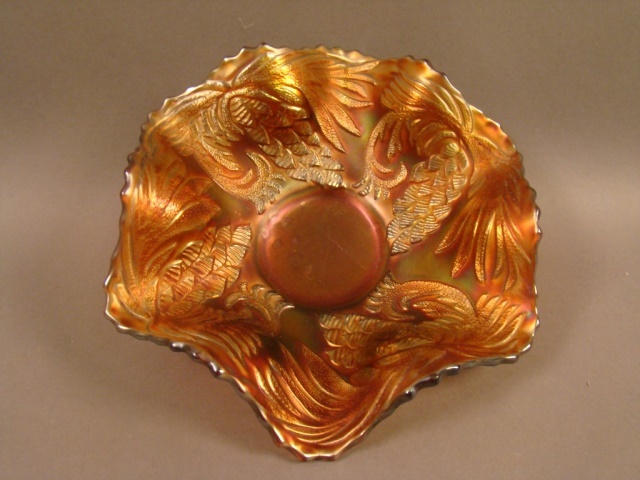 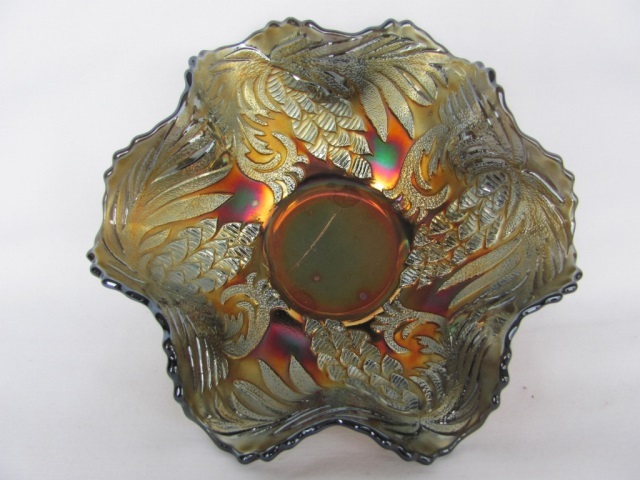 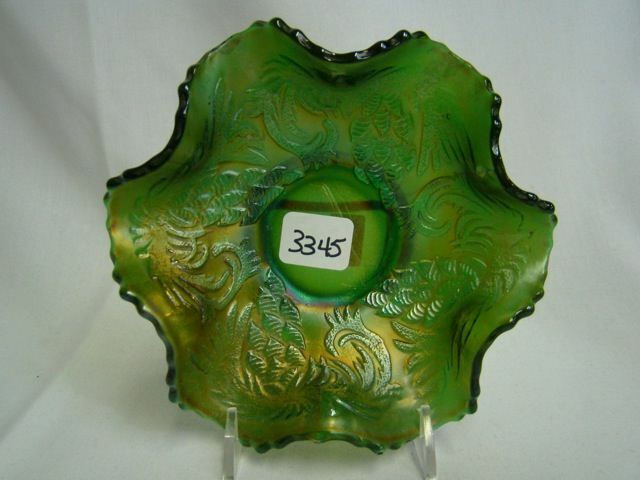 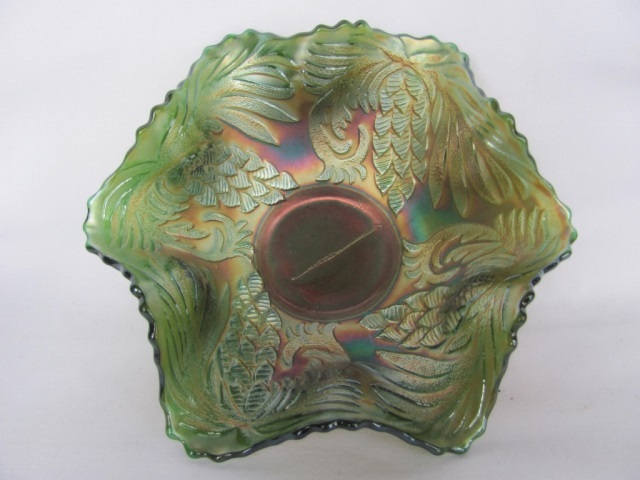 Pieces made from the larger mold often have a scalloped edge that is sometimes referred to as 12 sided. 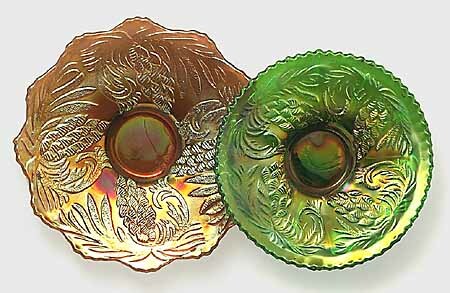 The smaller may also have the scalloped edge or, as show here, a sawtooth edge and narrow plain band around the edge. 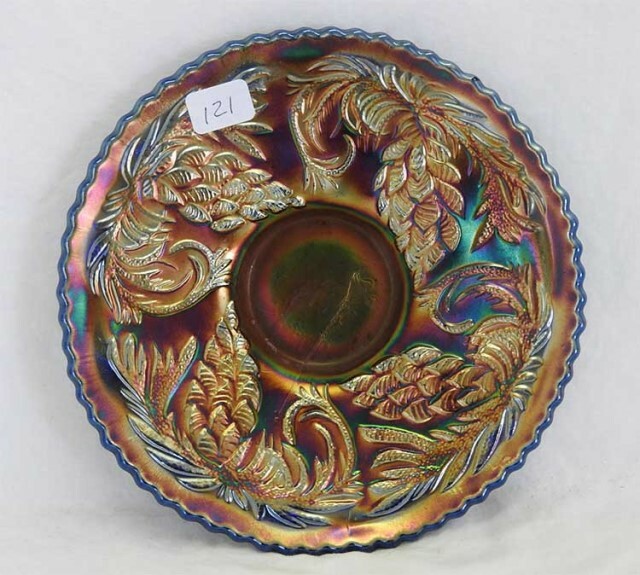 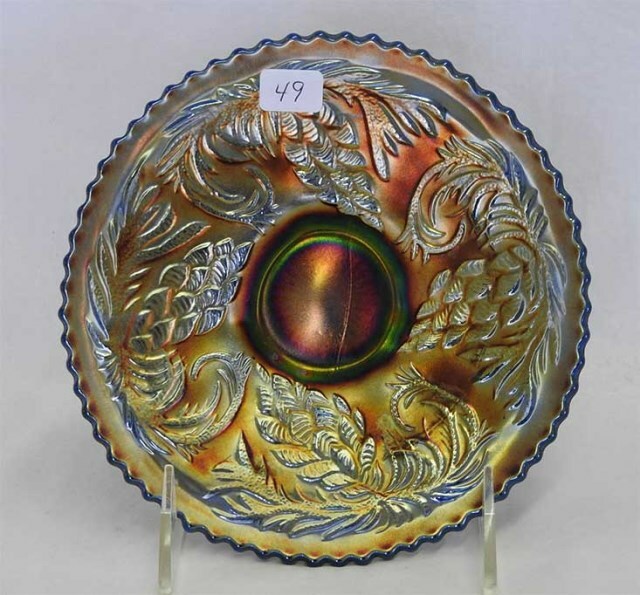 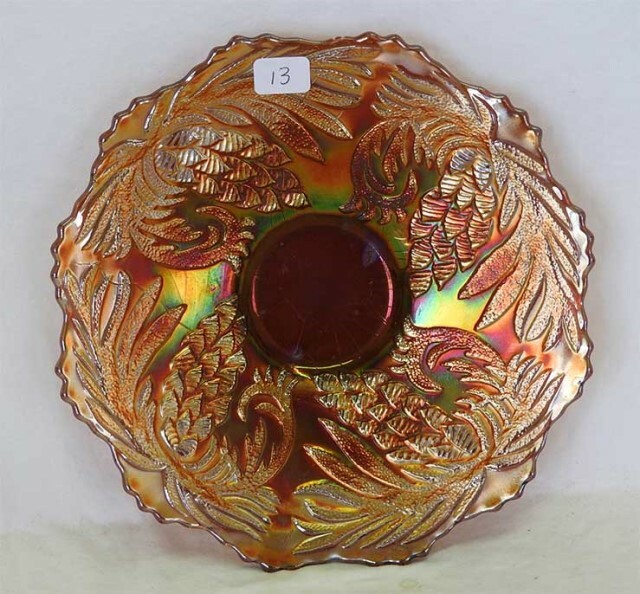 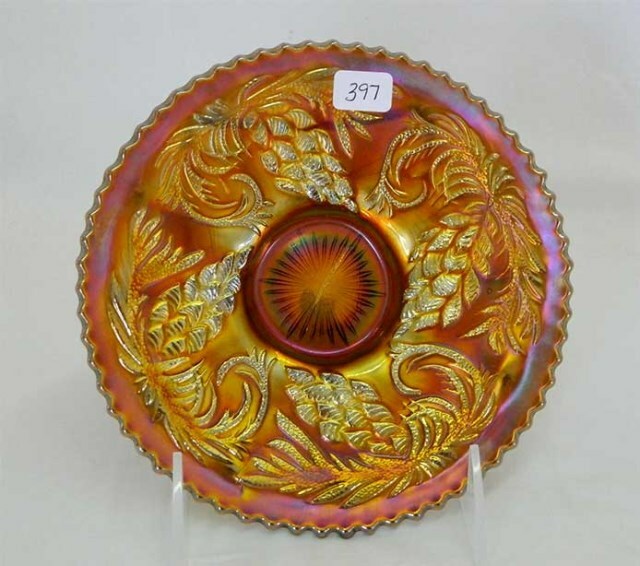 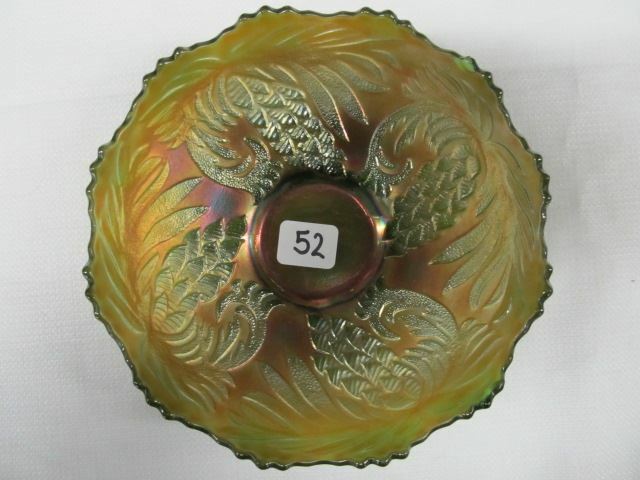 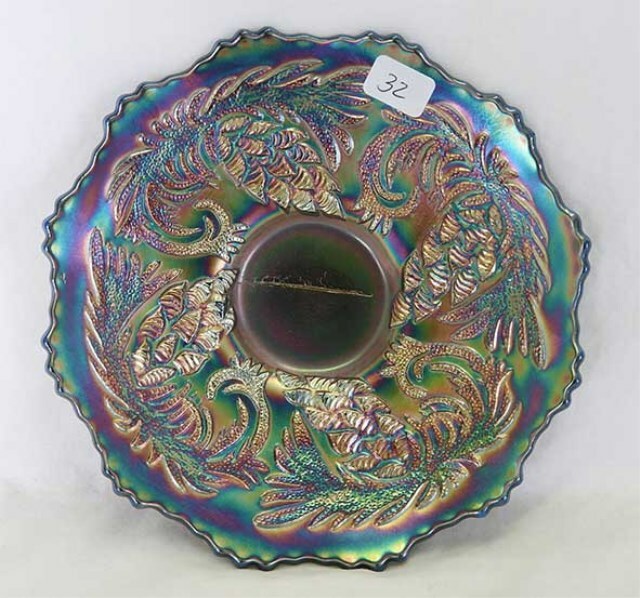 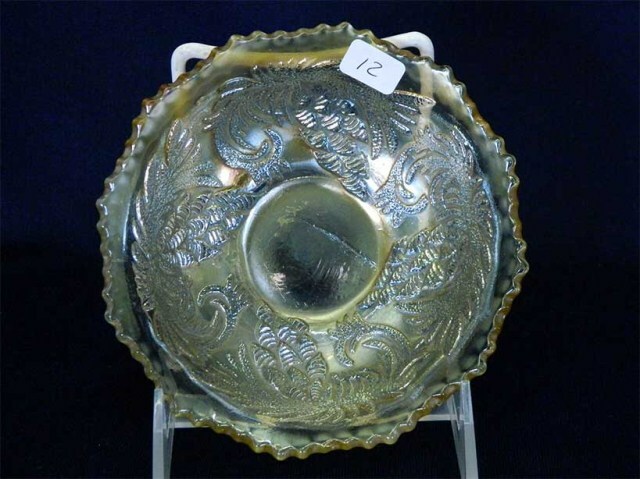 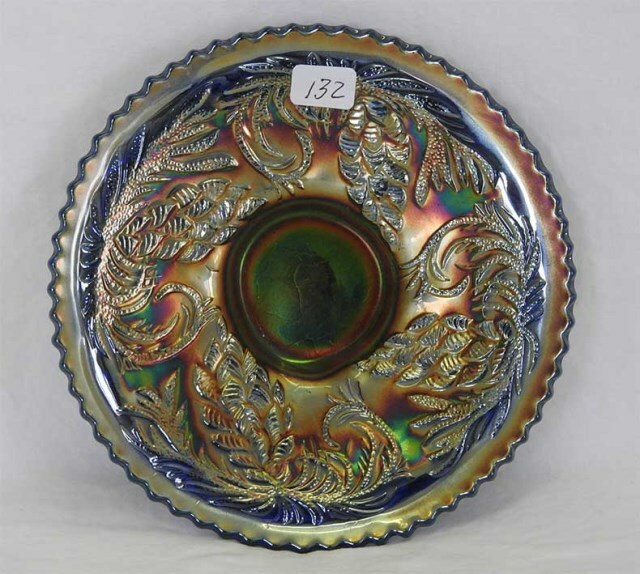 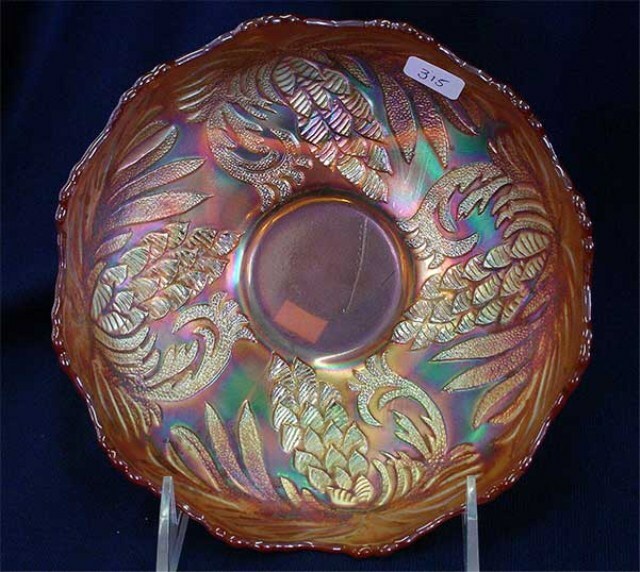 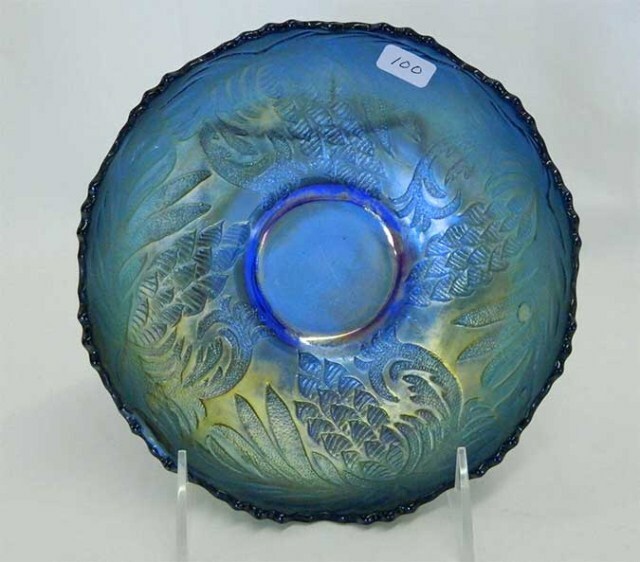 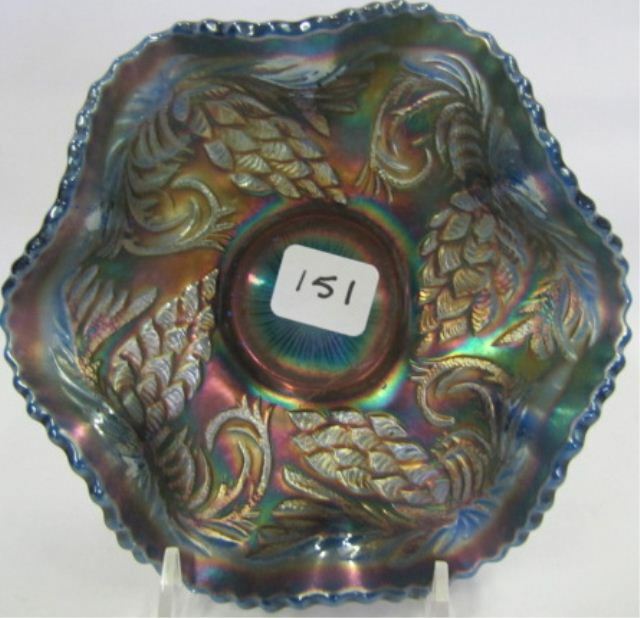 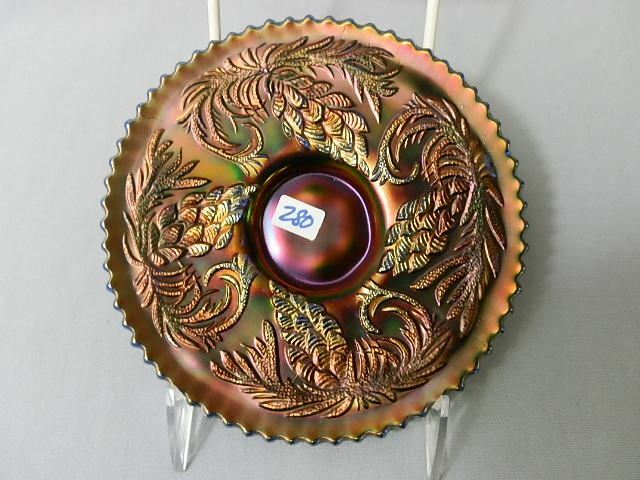 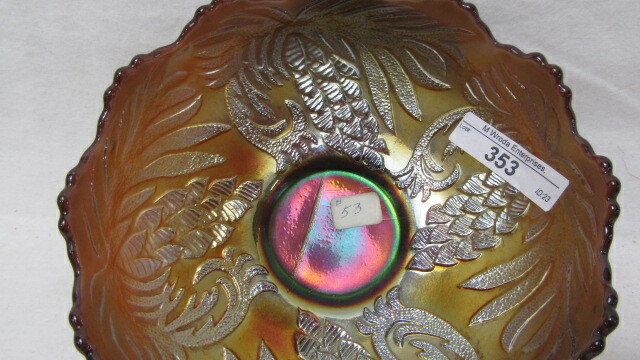 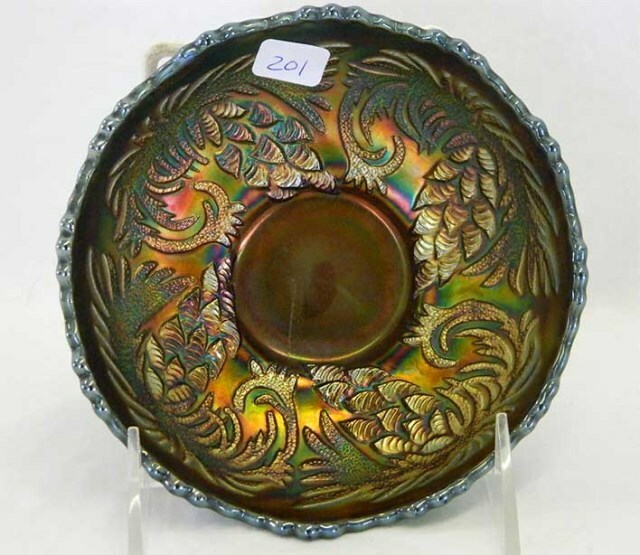 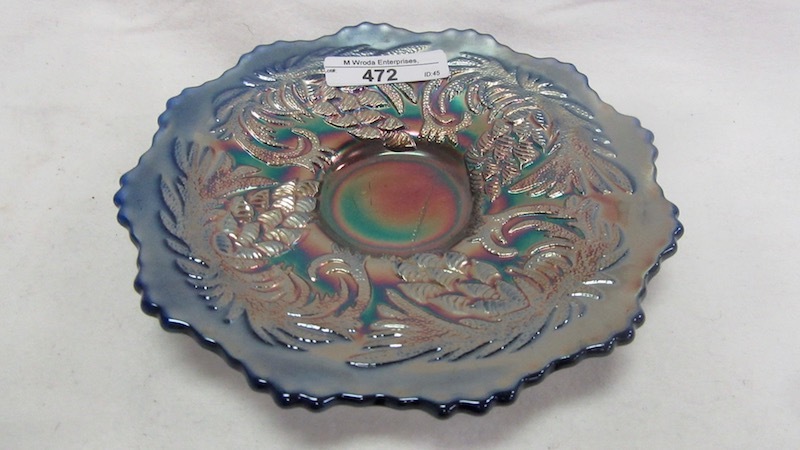 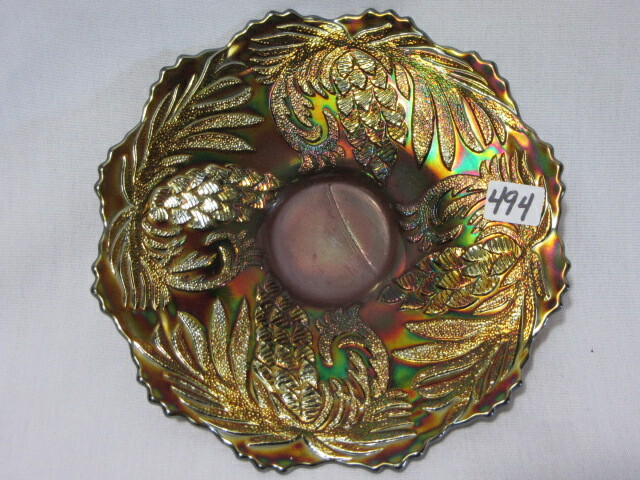 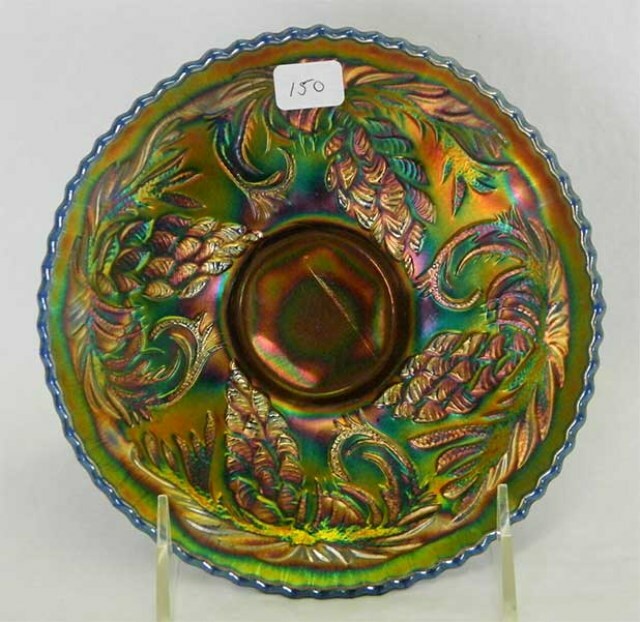 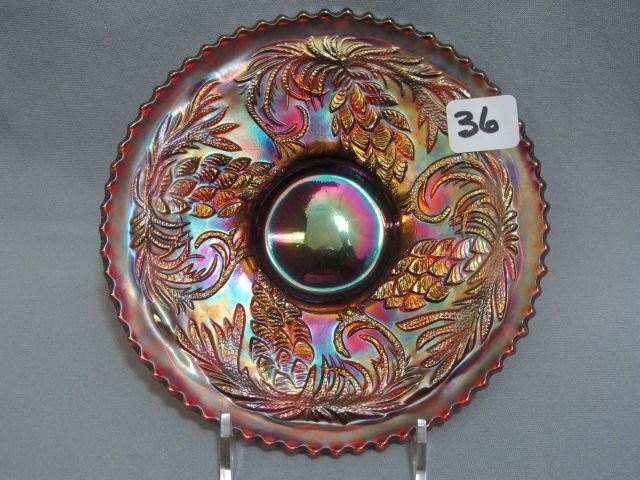 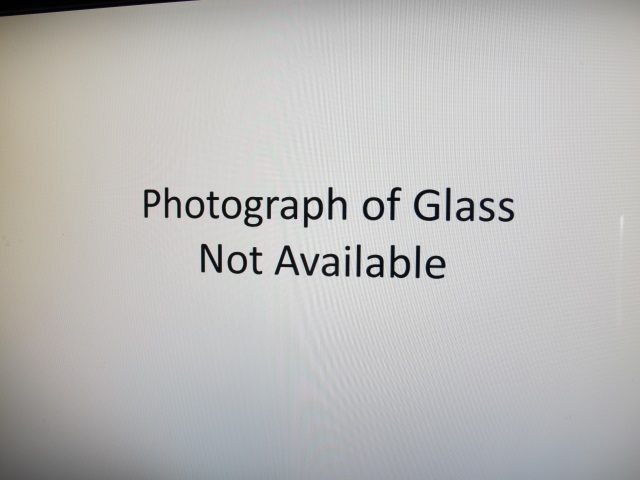 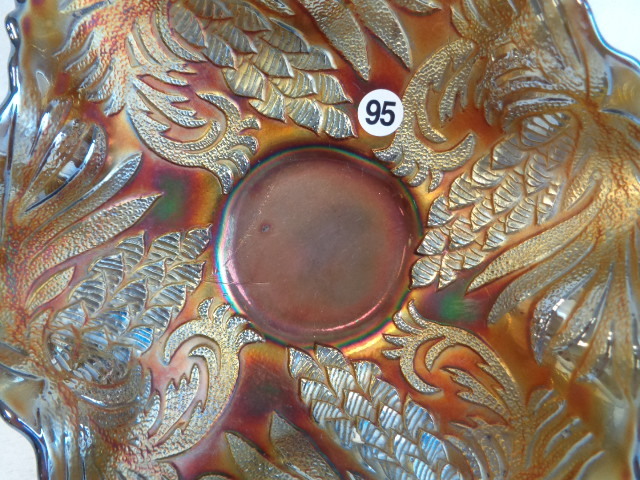 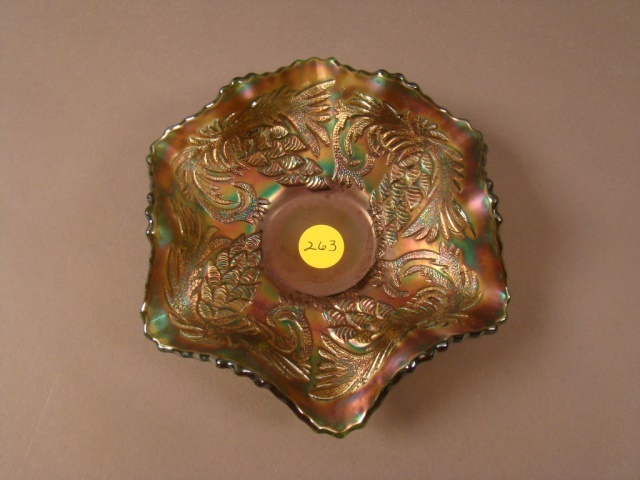 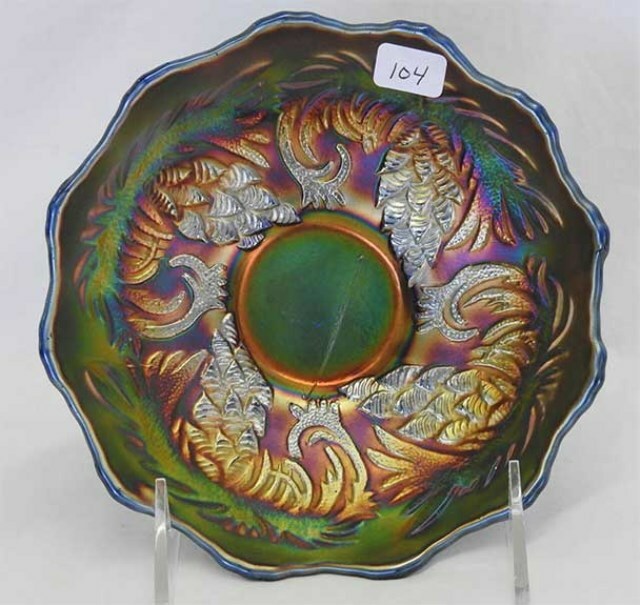 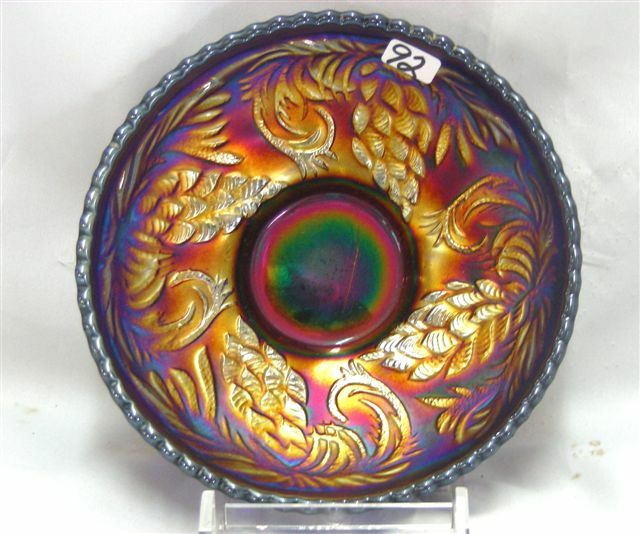 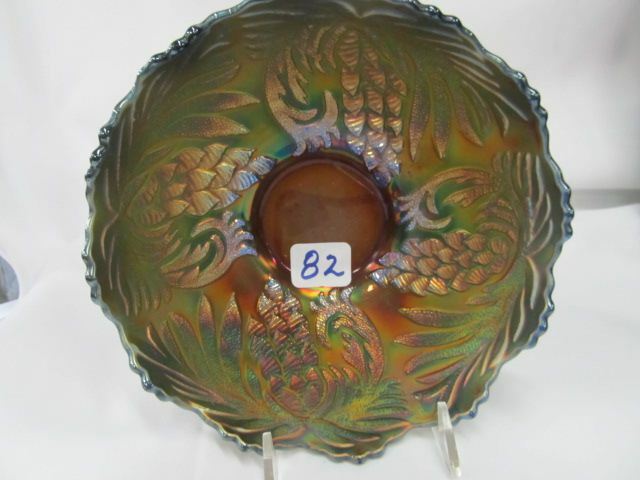 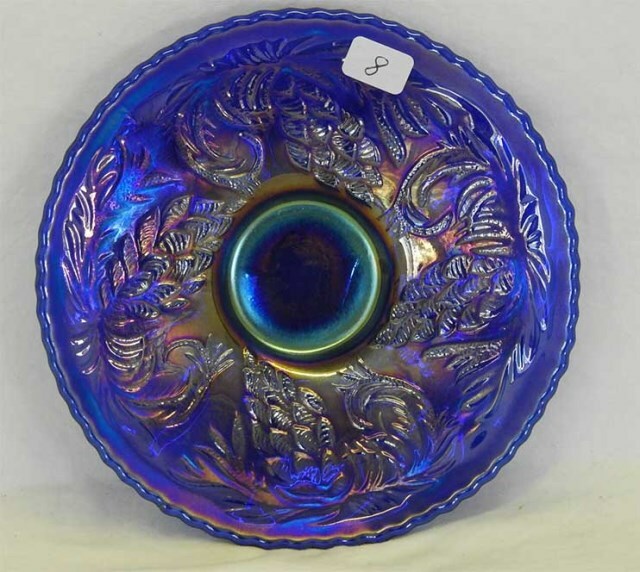 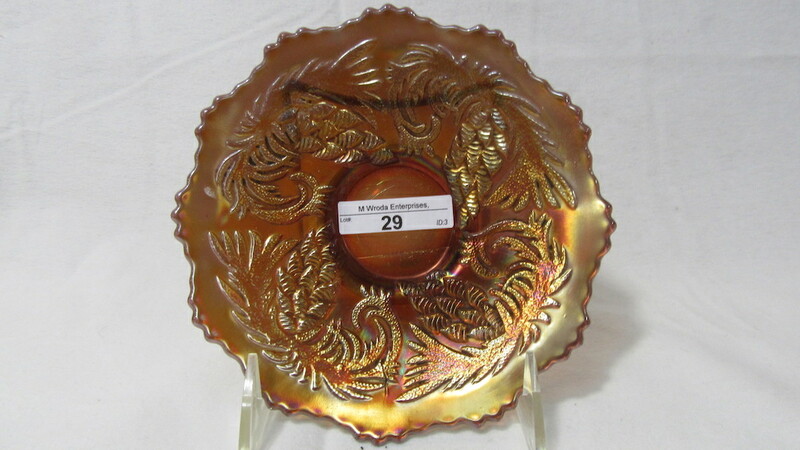 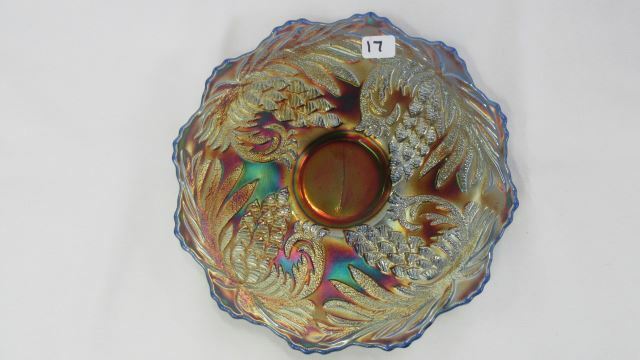 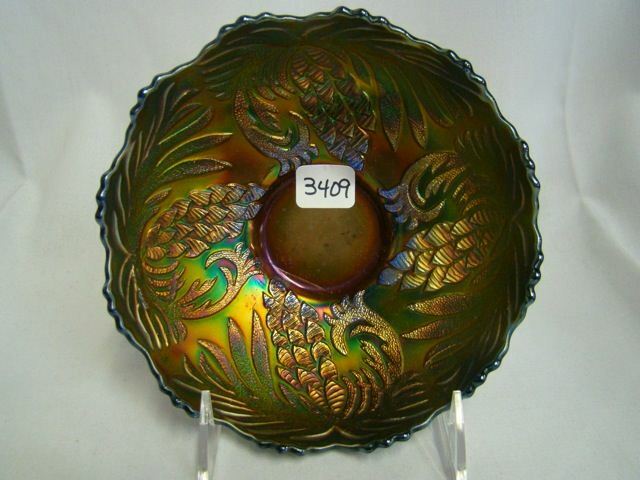 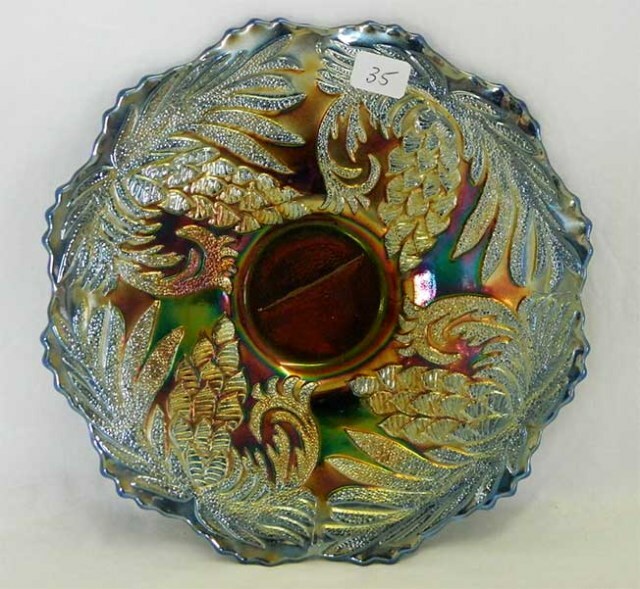 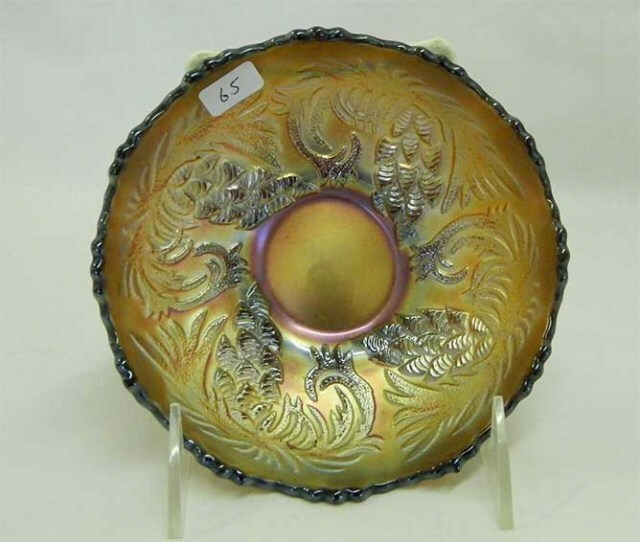 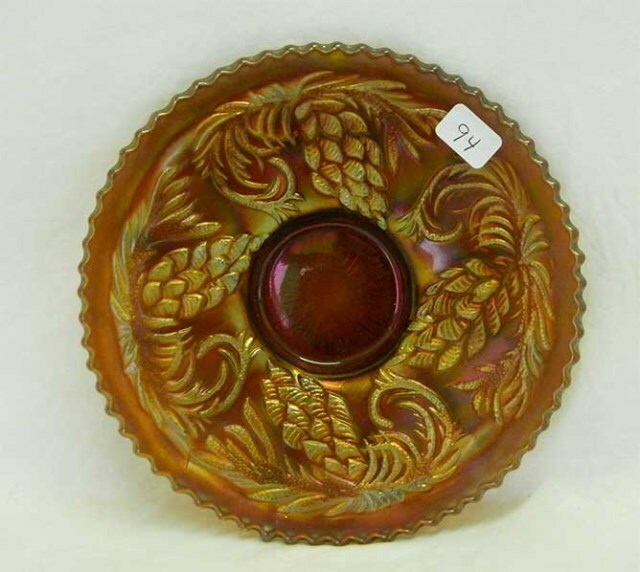 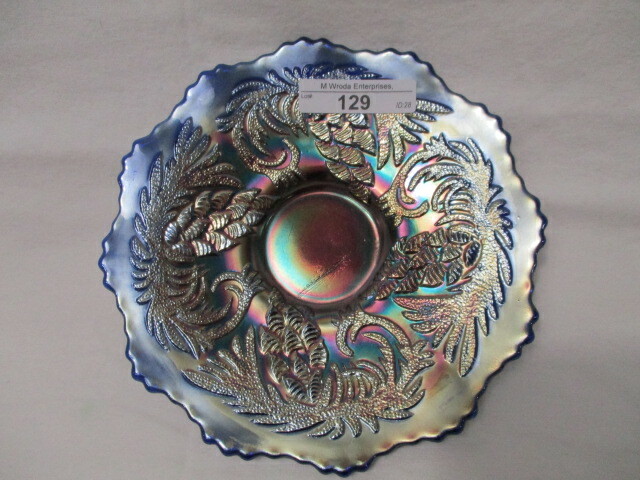 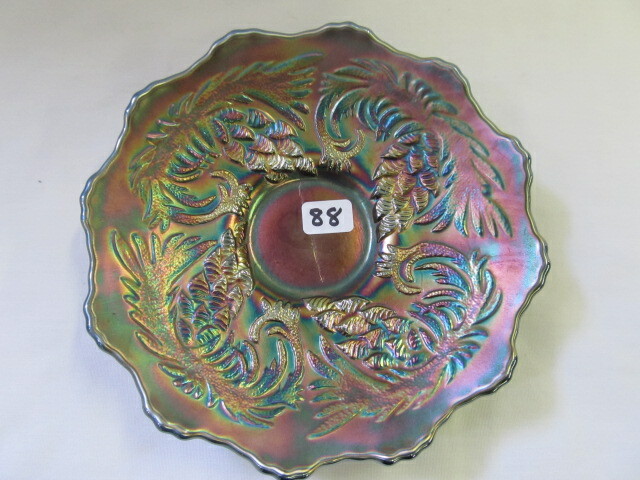 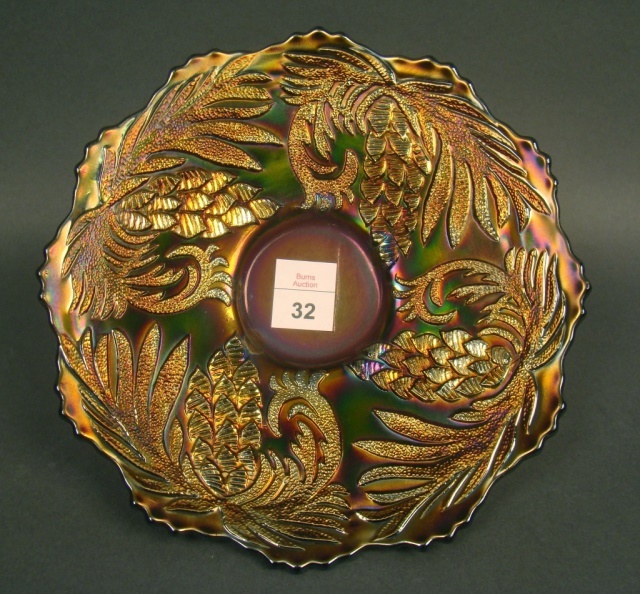 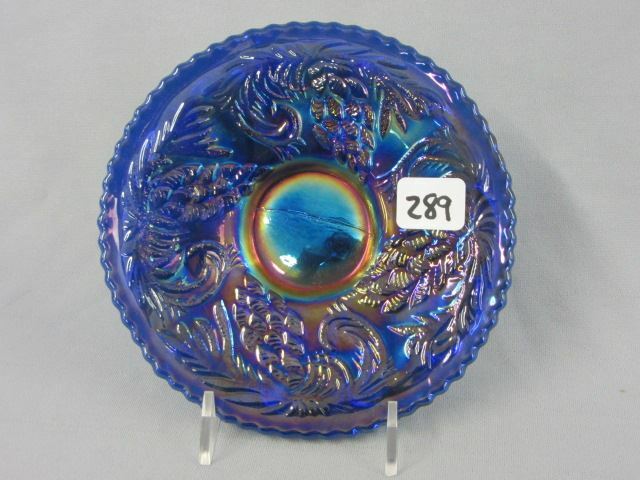 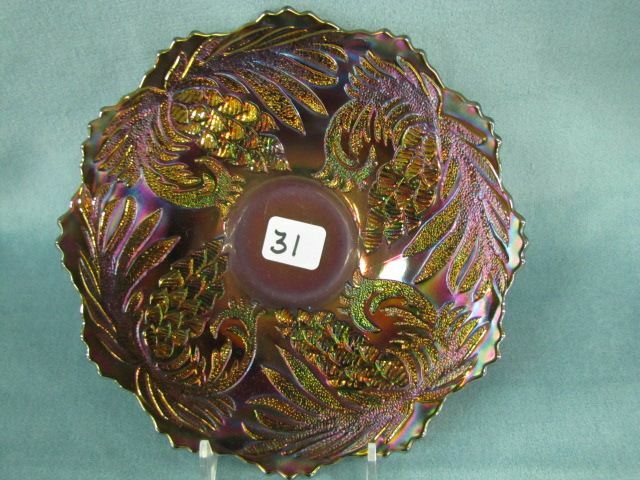 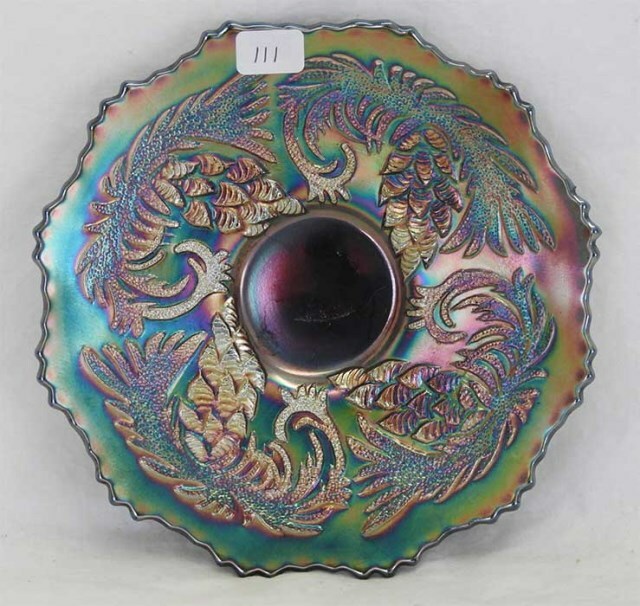 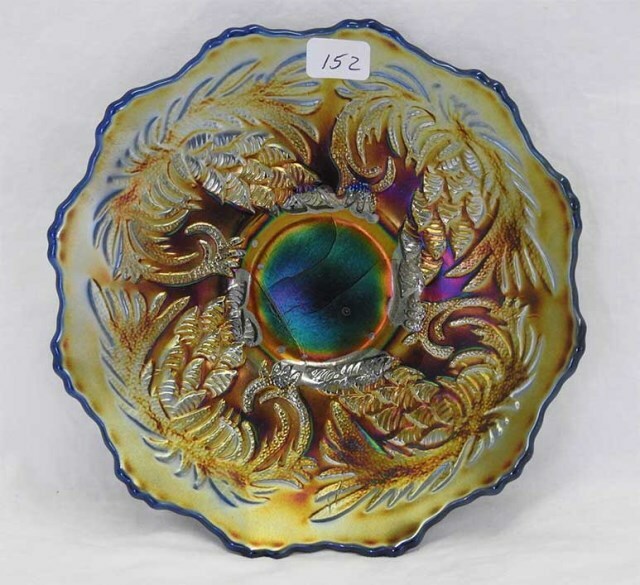 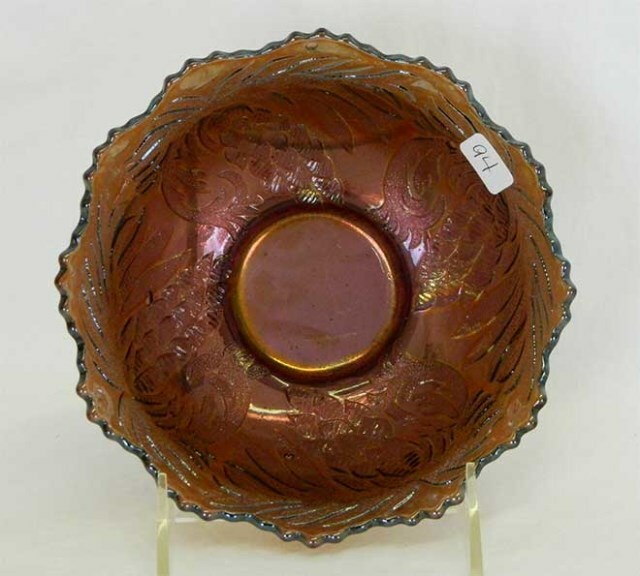 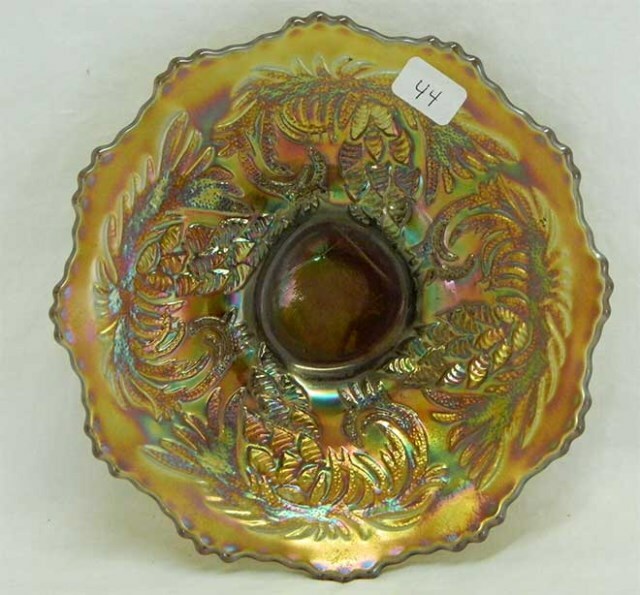 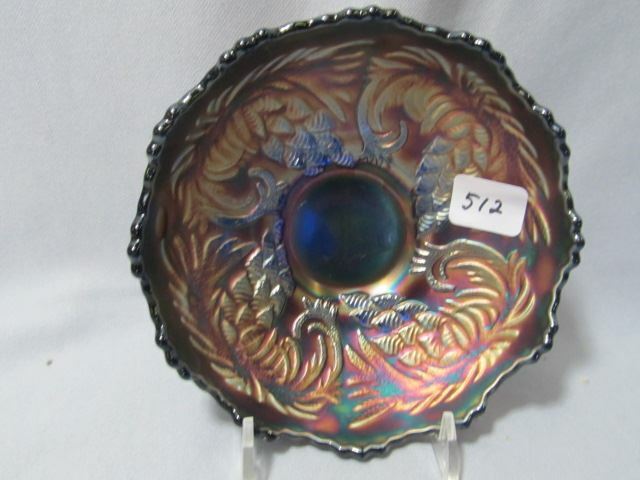 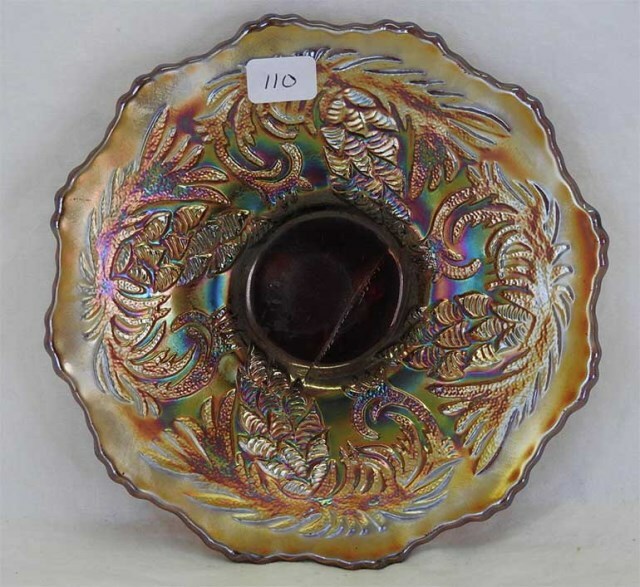 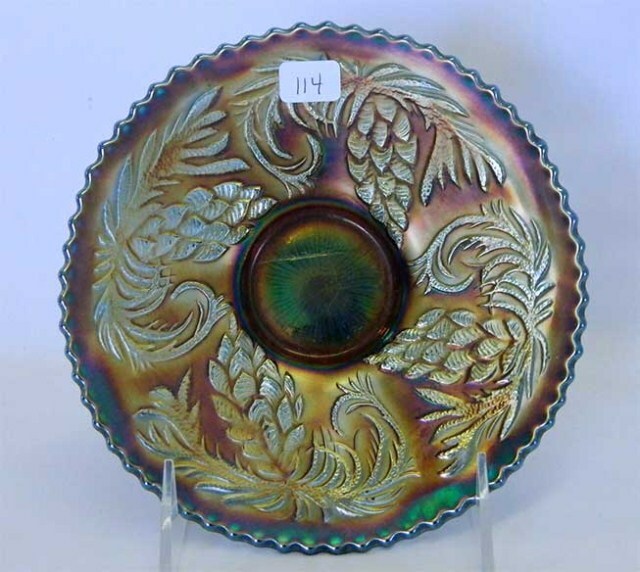 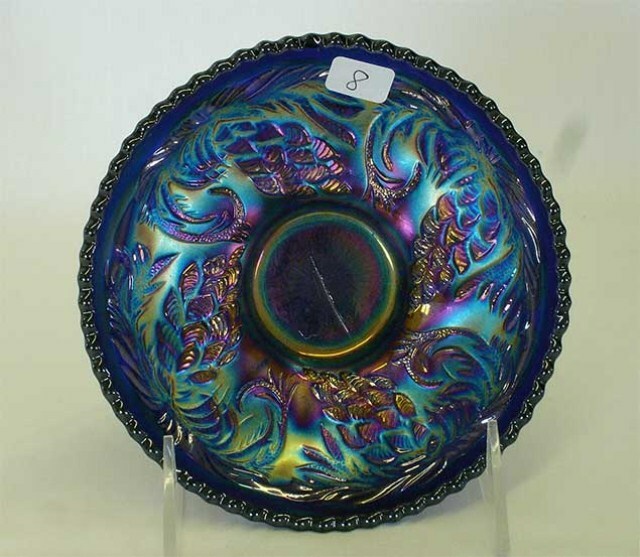 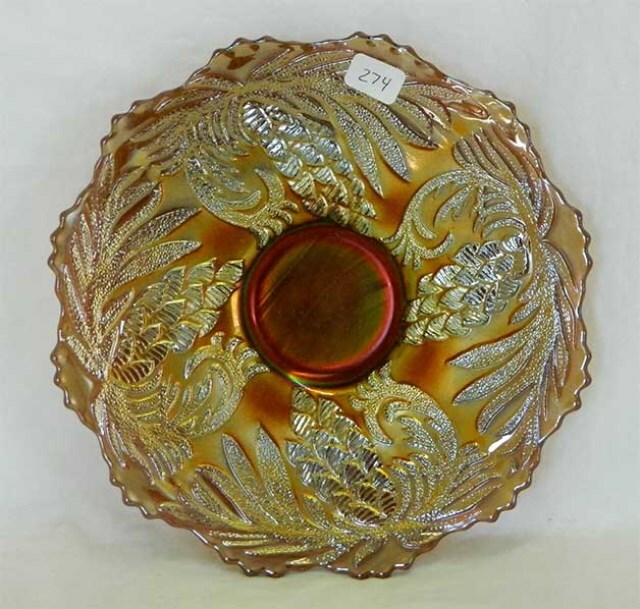 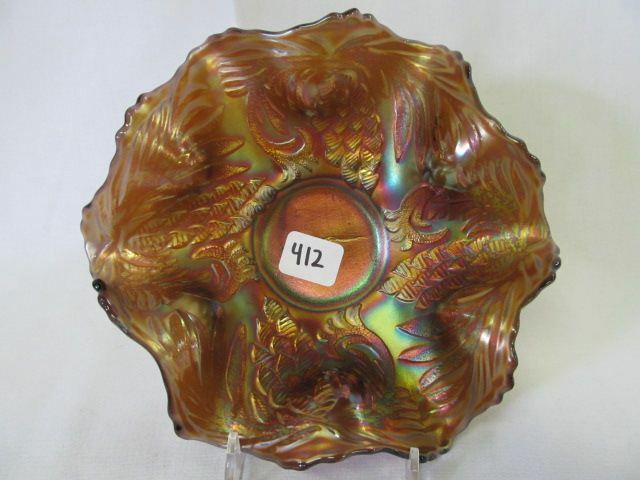 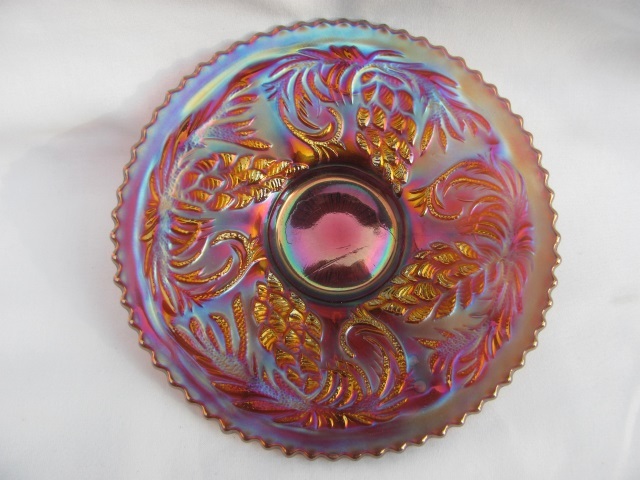 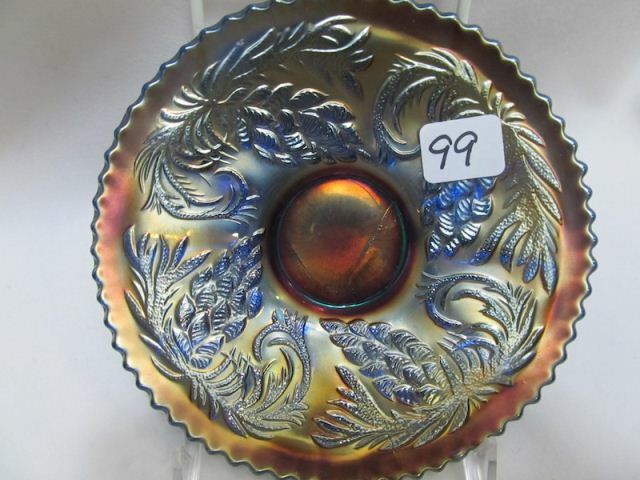 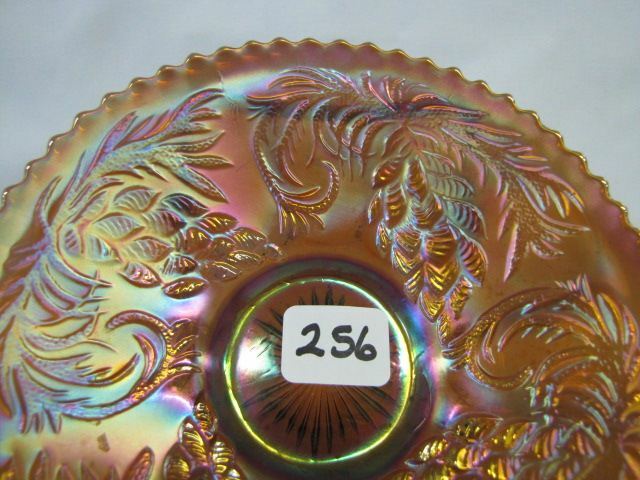 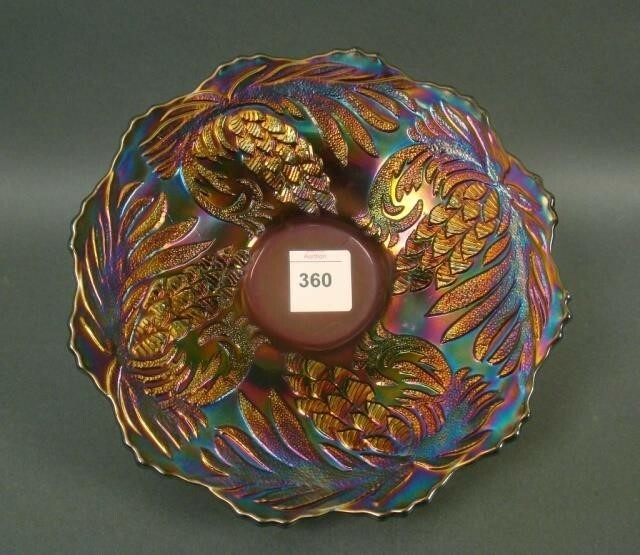 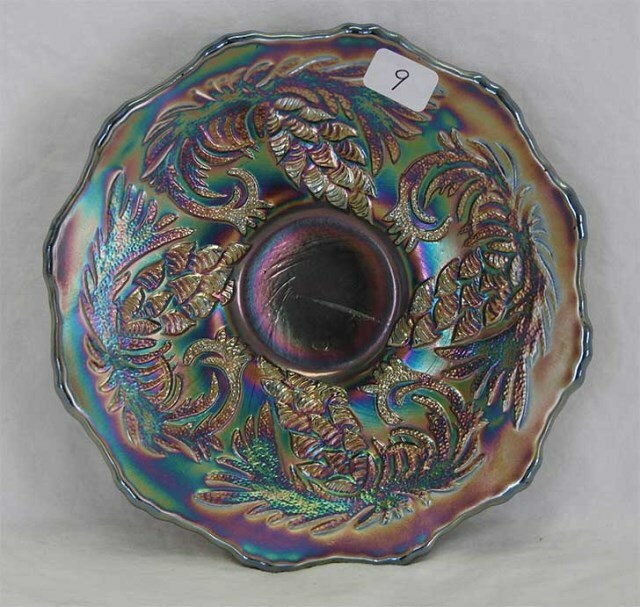 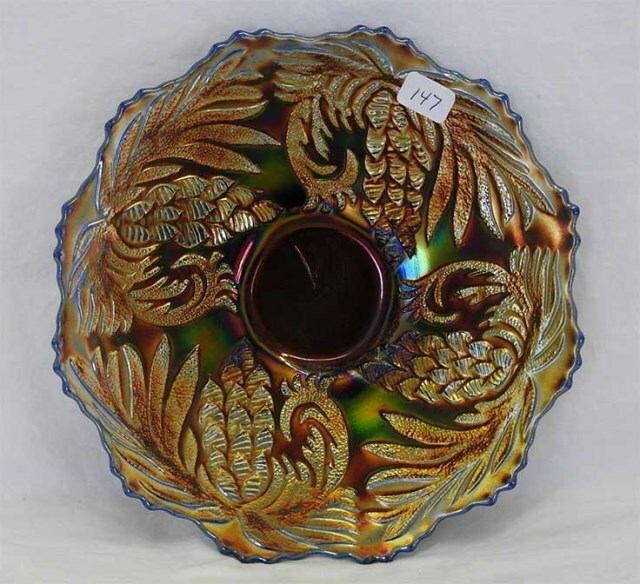 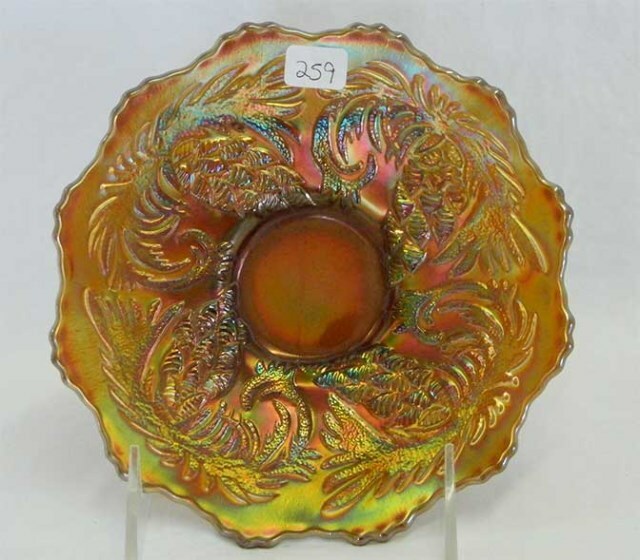 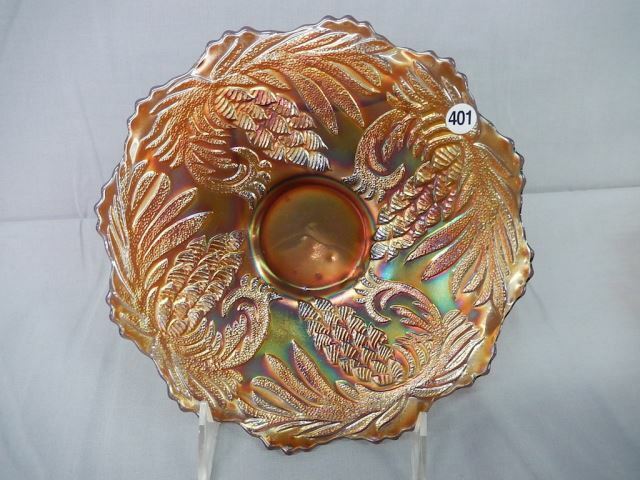 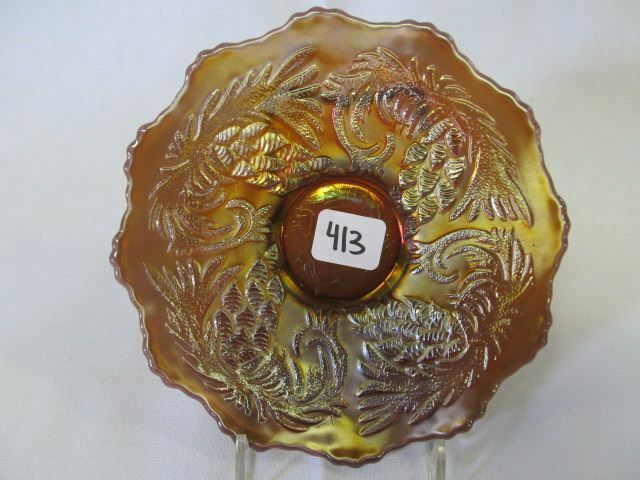 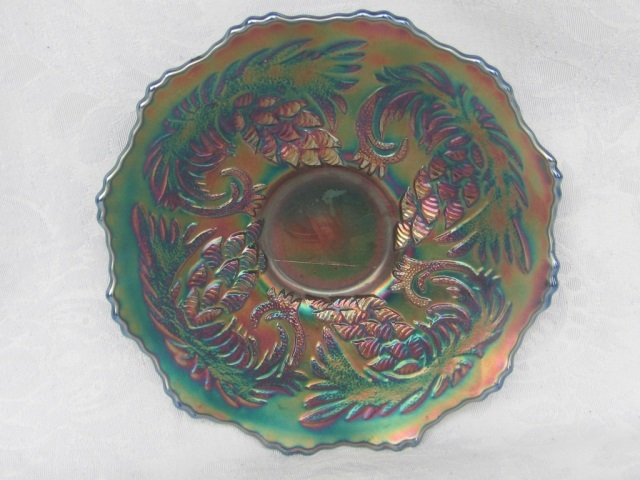 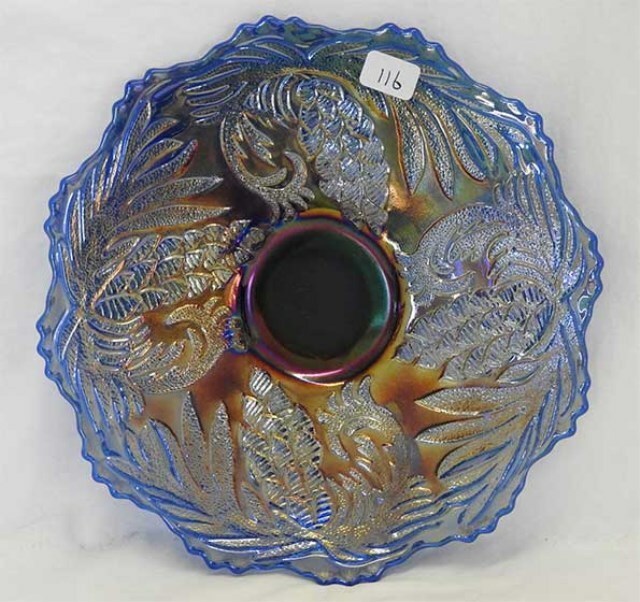 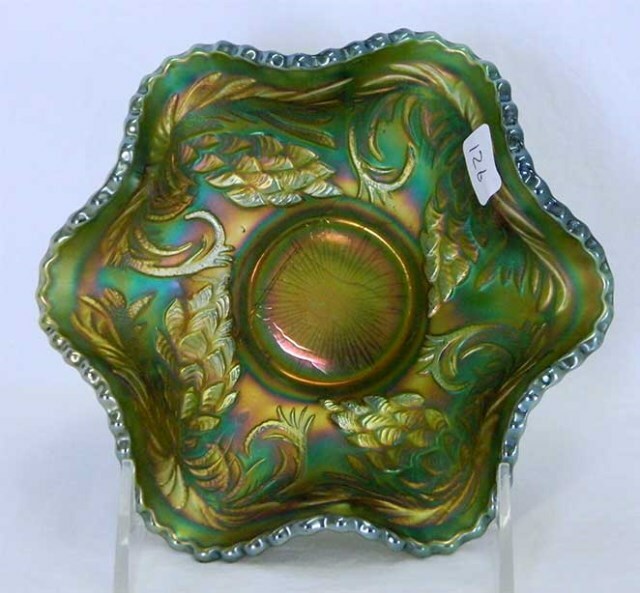 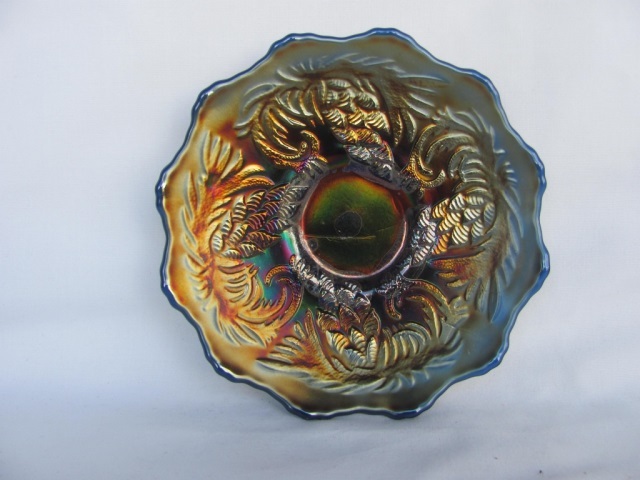 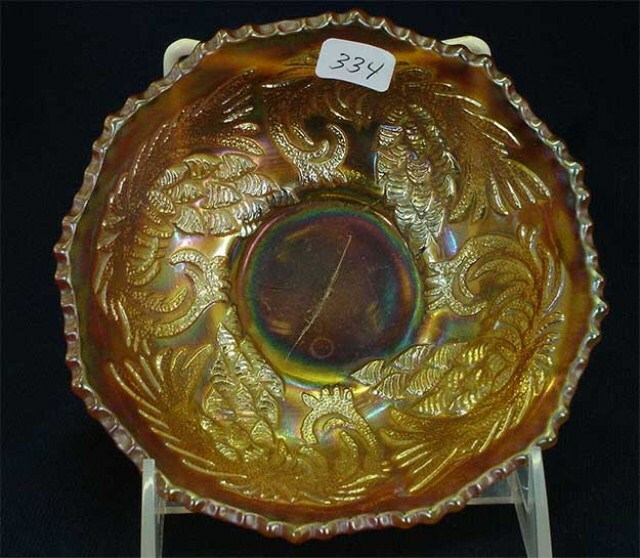 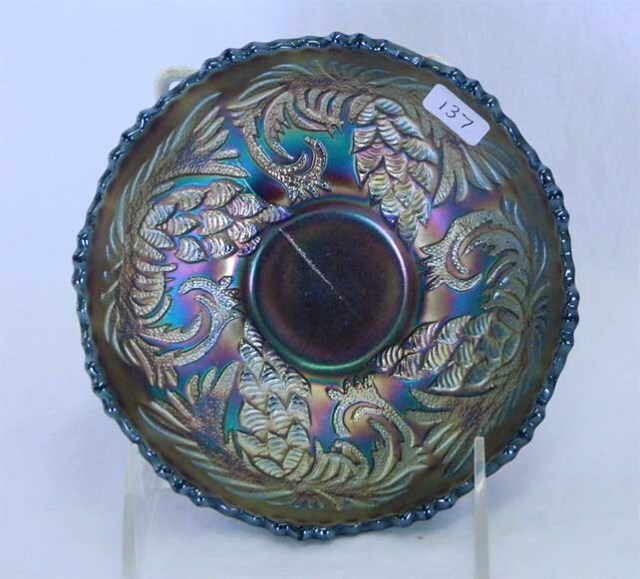 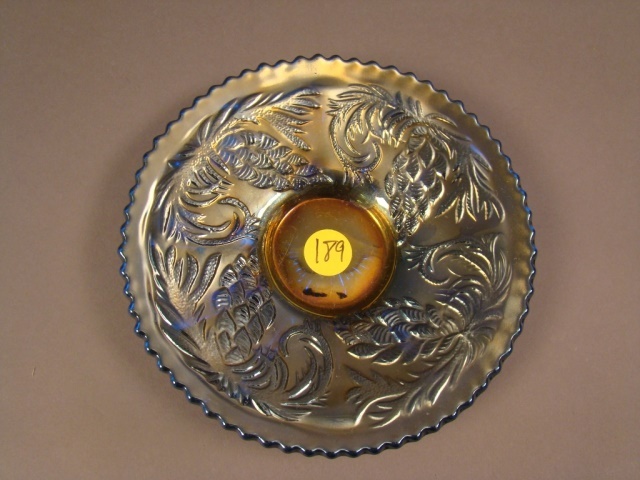 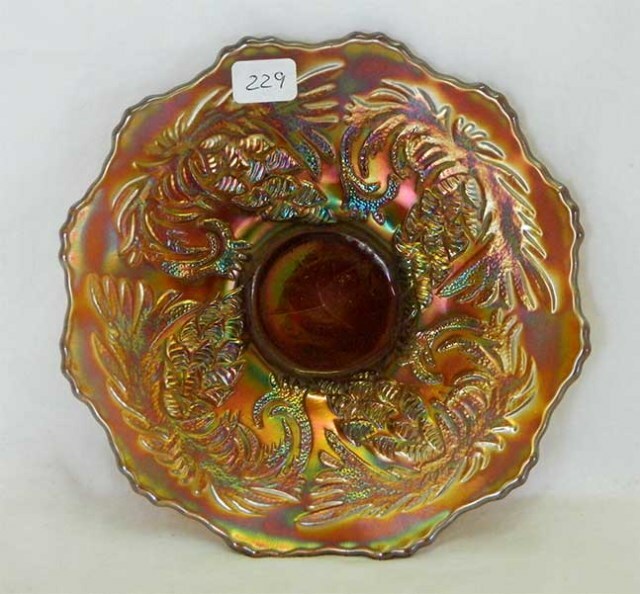 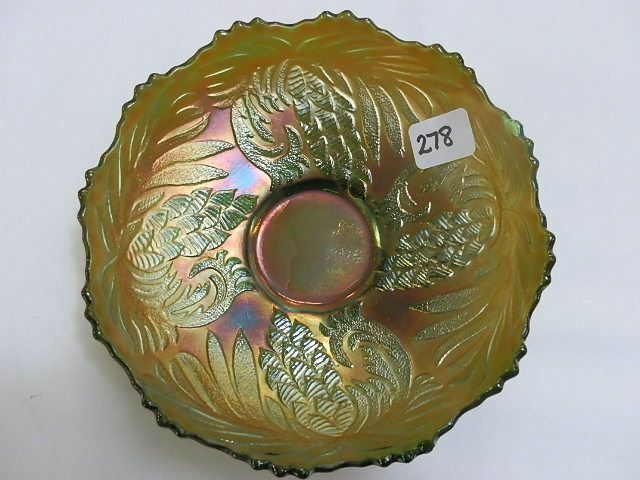 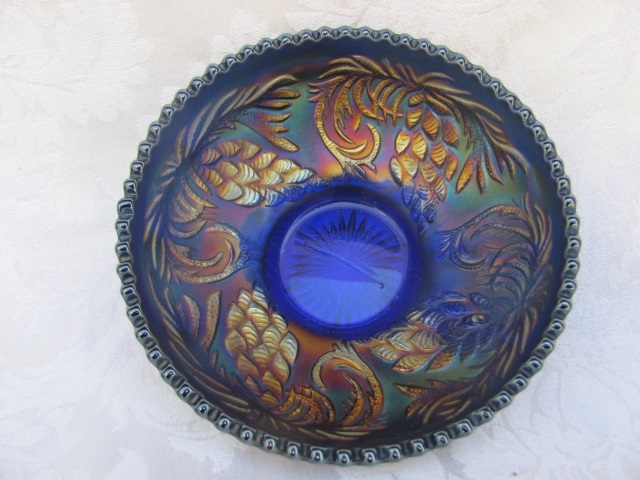 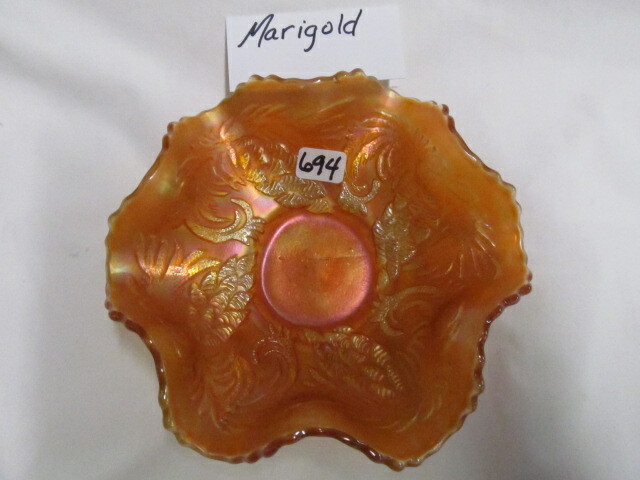 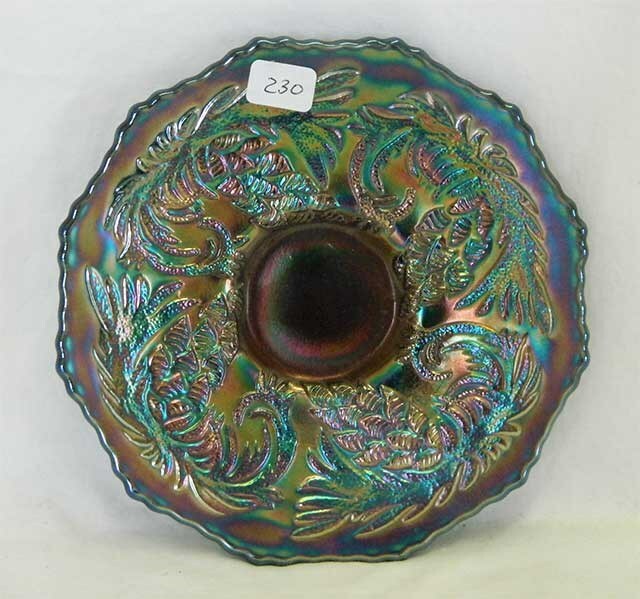 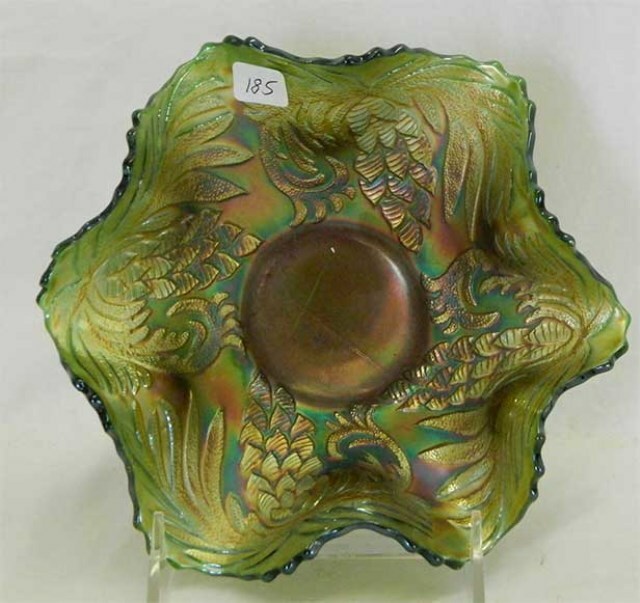 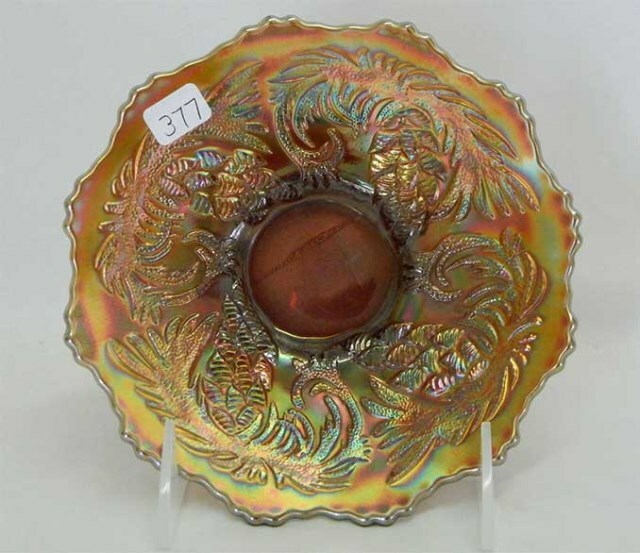 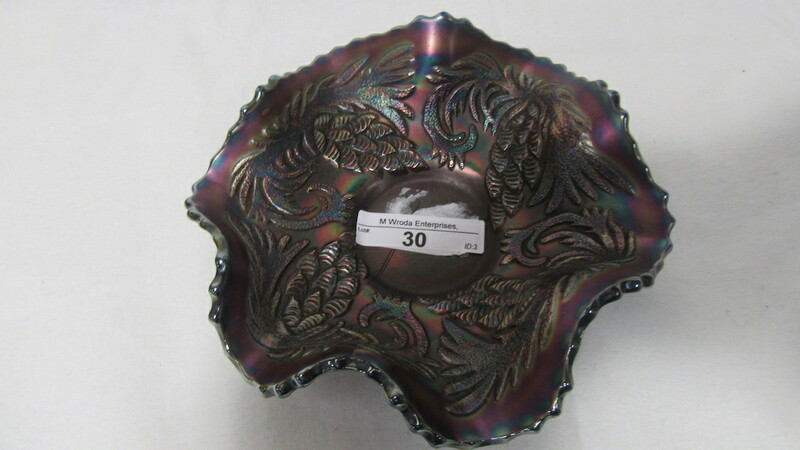 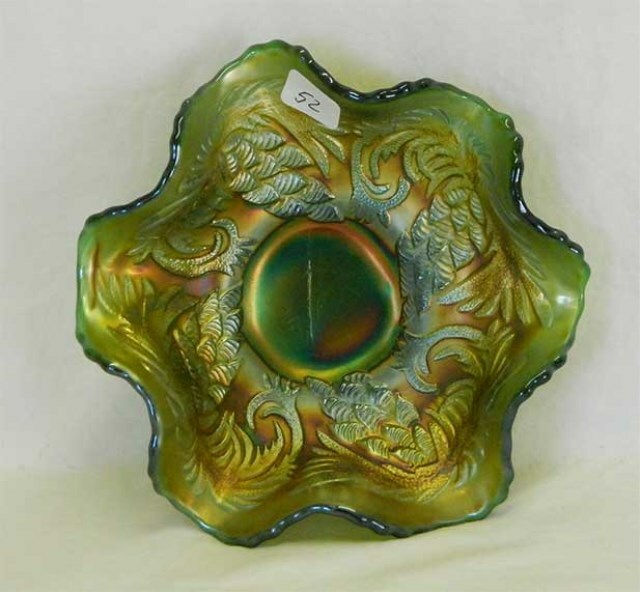 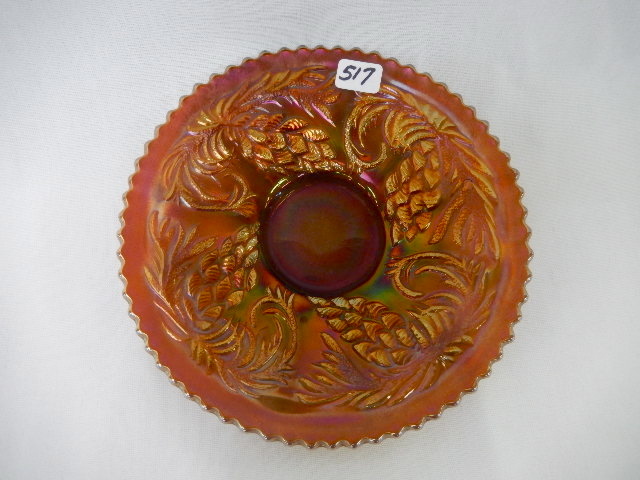 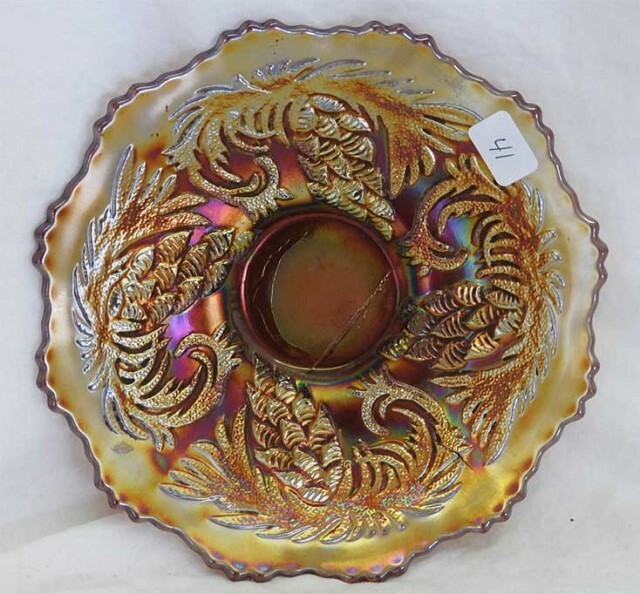 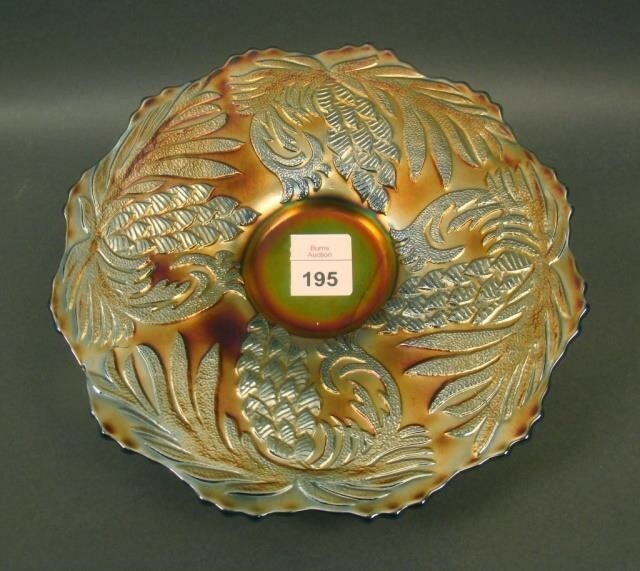 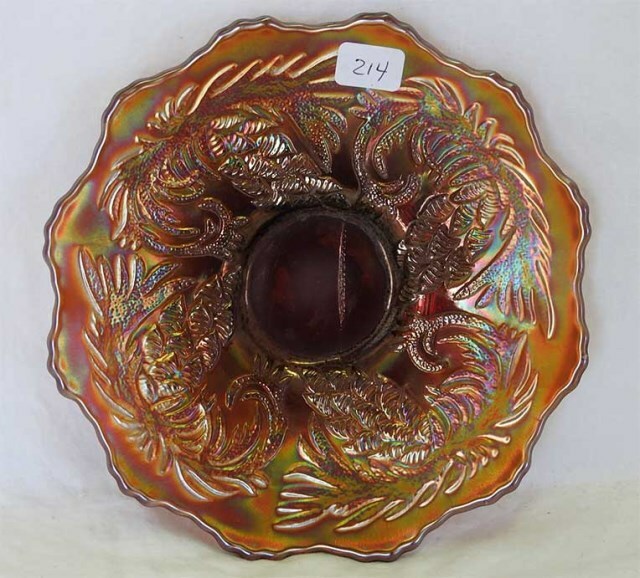 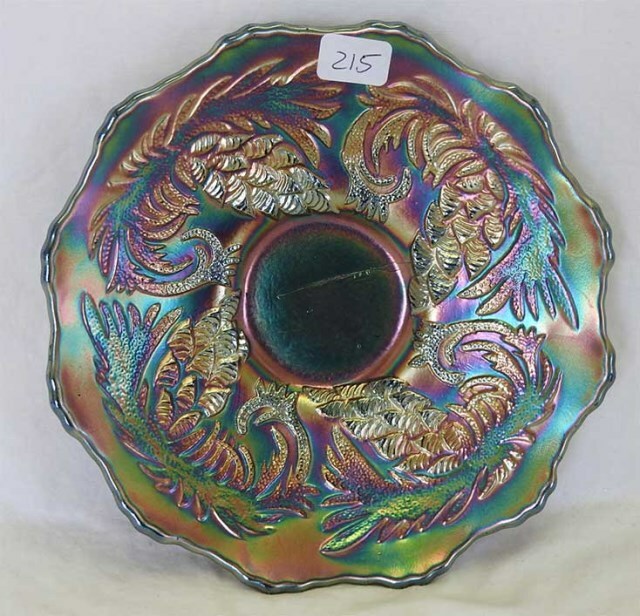 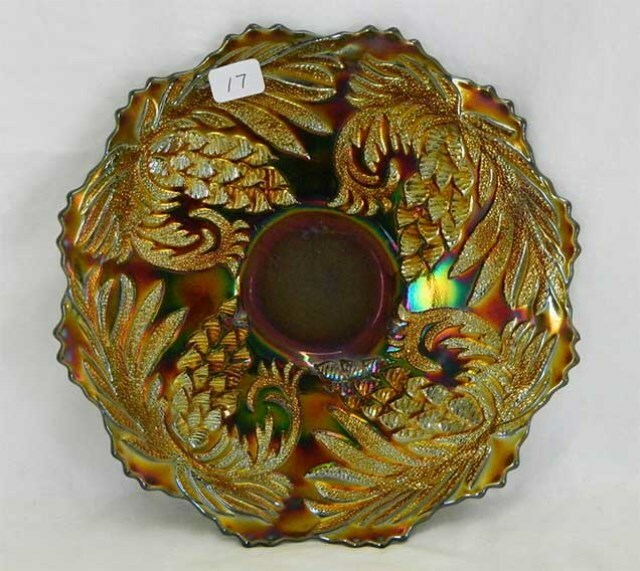 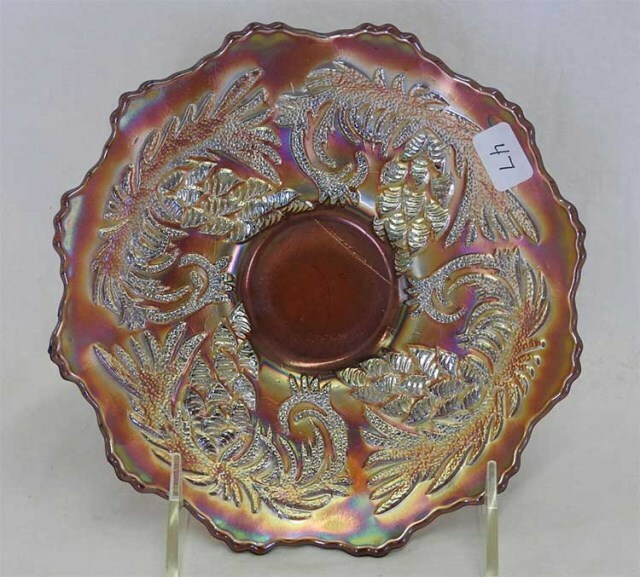 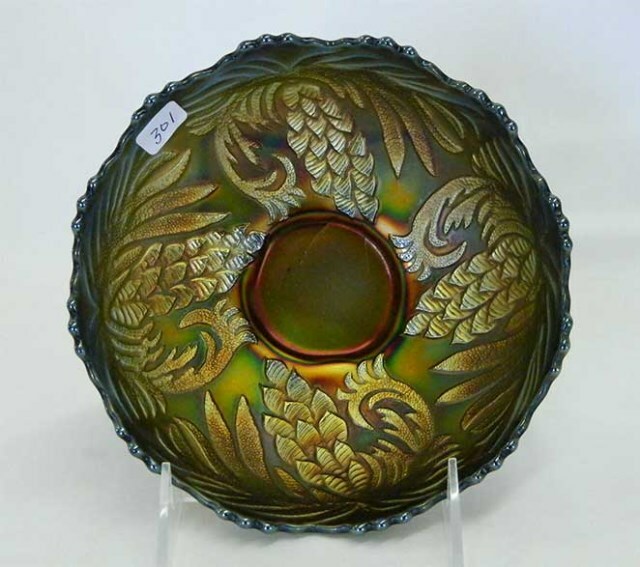 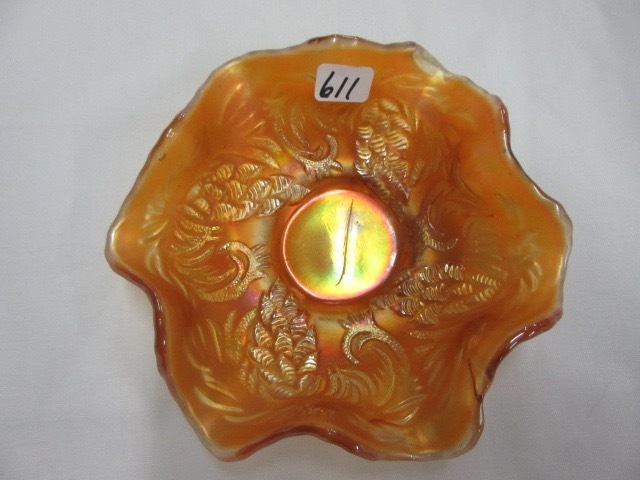 Interestingly, plates are seen more often than bowls but nonetheless bring better prices at auction.